Lisa Morzel is running for re-election to the Boulder City Council. She has been involved in Boulder politics since 1988. Morzel earned a PhD in geology and geophysics, and is now working as a research volcanologist, meaning she studies the physical processes of volcanoes. Due to both her previous involvement in the city, and background experiences as an earth scientist, she says she is better able to understand ways to improve the city. One of Lisa’s main goals for this term is to concentrate on how to go forward with our energy use. 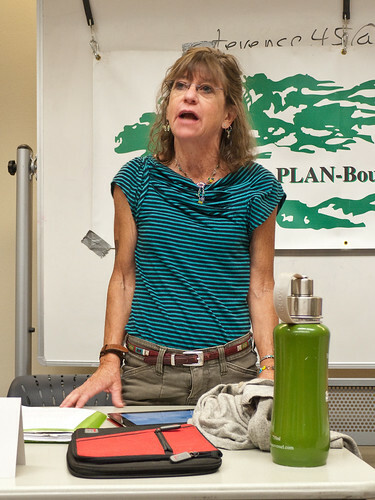 She is a leader in environmental issues, specifically, how the climate is changing. “Basically I want to divorce ourselves from coal. Instead, I want to focus on using solar energy. For the short term, I hope to utilize natural gas instead of coal, because there is much more of it in the United States, and it will reduce our greenhouse gas emissions by 50 percent,” Morzel said. Lisa calls on the public to minimize their waste and negative impact on the environment by reusing and recycling. In fact, she says she only generates two bags of garbage a year, which is just one example of how she is personally, actively working to save our environment. She also hopes to push forward with the plan to build a library in north Boulder. Lisa has been working to connect with the general public through her website and e-mail. She attends numerous different events around town in an attempt to meet people and pass out her brochure. In addition, she rides around on her bicycle and speaks with people about her ideas and asks if they would consider giving her their vote. You can visit her website at http://www.lisamorzel.com/home.